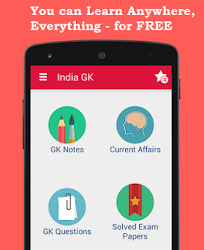 9, 10 September 2017 Current Affairs MCQs, Quiz, Questions: Current Affairs for September 2017, Daily Multiple Choice Questions (MCQs) for India GK, World GK and current affairs with Collection of daily objective type Question by www.Indiagk.net based on General Knowledge (GK) and General Science (GS) Questions for UPSC, State PSC, SSC, Police exam, Railway exam, SBI, Bank PO, IBPC, SSC, LDC, UDC, Army, Airforce, Navy, Coast Guard, Bank Clerk, TET and all entrance examination with current affairs News, Multiple Choice Questions (MCQs) available on Website www.IndiaGK.net and Android Apps with daily updates:. Which country to host the Across Barriers-International Business Women’s Summit (ABIBWS)? Which part of Lakshadweep has disappeared due to coastal erosion? Who launches North East Festival ‘North-East Calling’ 2017 in New Delhi? Who has been appointed as new interim Chairman of Goods and Services Tax Network (GSTN)? All woman Officer of Indian Navy begins Navika Sagar Parikrama on which Ship?